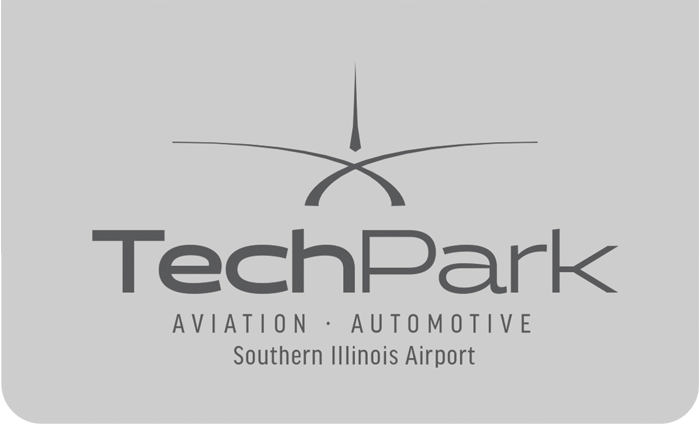 TechPark is the location of a collaborative effort to encourage economic growth in southern Illinois specifically targeted to aviation and automotive industries. Southern Illinois Airport Authority and its partners have designated shovel-ready development sites on airport property to leverage the job-ready talents produced by nationally renowned programs of Southern Illinois University, the area’s low cost of living, inexpensive airport lands and its central location in the U.S. Streamlined approvals and various incentive and financing programs are available from development minded organizations to assist in expediting project completion. We would welcome your inquiries at any time and pledge our efforts to make your project a reality in southern Illinois. Tech Park is a collaborative effort of the Southern Illinois Airport Authority, Jackson Growth Alliance, City of Carbondale, City of Murphysboro, Southern Illinois University, Jackson-Union Port Authority. Southern Illinois Airport offers a unique location advantage between many of the Midwest’s population centers; St. Louis, Nashville, Memphis, Indianapolis, Louisville, and Chicago. It is located along major flight corridors and near important north/south and east/west interstate highways. SIA is owned and operated by the Southern Illinois Airport Authority, an autonomous unit of local government. • Highway access • Low land costs • Affordable housing • Presence of SIU & the TEC to the site • Proximity of site to the airport and it’s transportation advantage • Nearby healthcare, retail, hospitality and support services • The airport development property is located within an Enterprise Zone and all utilities are on-site. Jackson Growth Alliance is a not for profit economic development corporation that encourages economic and community development for all of Jackson County and the greater southern Illinois region. Jackson Growth Alliance unites the efforts of the Jackson County government, City of Carbondale, City of Murphysboro, Southern Illinois University, Southern Illinois Airport Authority and the Jackson County business community for the achievement of economic and community development goals.